Heiligenhaus/Germany, September 2013 –At K 2013, Lüttgens Kunststoff-Technik (www.luettgens.de) is showcasing its special expertise in the area of overmoulding of metal components with technical polymers. 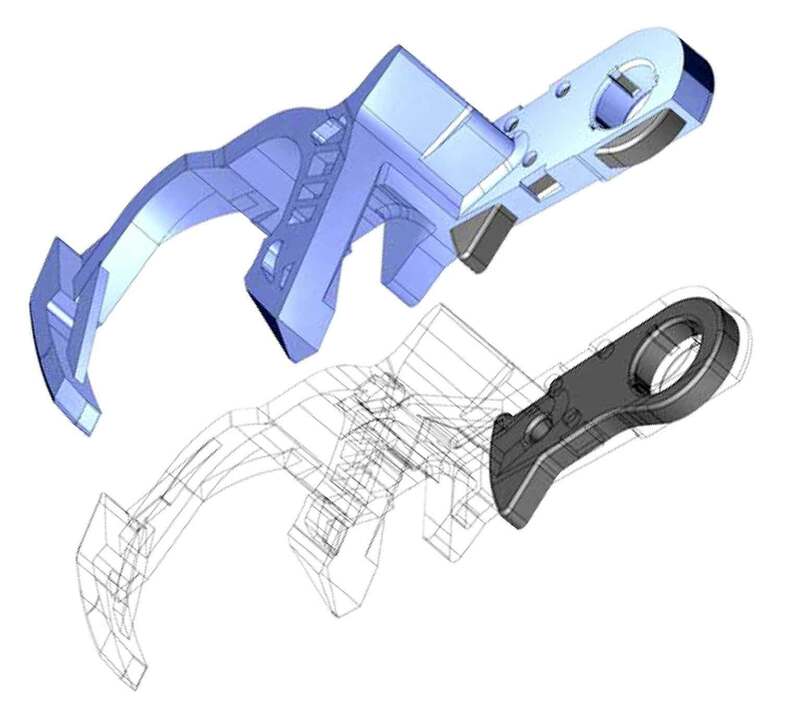 In close partner-ship with its customers, the company develops concepts for technologically demanding projects, providing support from component analysis, material selection, design and prototype production right up to testing and quality control. The company excels through superior control of challenging production processes with a high degree of automation and short cycle times, typically required for high-volume applications of hybrid technology. Providing extensive experience in this sector as well as in multi-component injection moulding and gas-assisted moulding, Lüttgens has been able to build up a broad customer base, spanning the automotive, sanitary, household appliance, building and electrical engineering industries, as well as the mechanical and plant engineering industries. With its specific expertise in the areas of light-weight hybrid solutions, material systems with a high degree of functional integration and high-stiffness, high-strength moulded composite parts, Lüttgens ranks among the leading suppliers, particularly in the automotive industry. Beyond the provision of exterior door handles, chassis components or gear levers, the company has evolved into one of the major providers of plastic overmoulded lock components in Europe. By continuously increasing the degree of automation in its production facilities and networking of all production machinery at its Heiligenhaus site and its Polish affiliated company, Lüttgens is capable of supporting its customers with highly efficient and environmentally compatible large volume production. Now in its third generation, Dietrich Lüttgens GmbH & Co. KG is a family-run enterprise established more than 75 years ago. The company has its headquarters in Heiligenhaus at the edge of the Ruhr metropolitan area and operates a second production facility in Kurzętnik, in Poland. 160 members of staff produce technical injection moulded components and assemblies from thermoplastic design polymers to suit customer requirements, using 35 injection moulding machines and around 2,000 different tools. Longstanding experience in design and production and close partnership with leading international suppliers of materials, OEMs and systems suppliers, software developers as well as universities allow for short lead times and high cost efficiency.